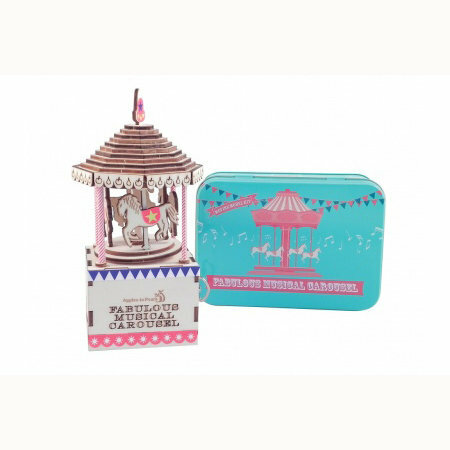 This award-winning range of Gifts in a Tin is absolutely fabulous! So many designs to choose from - all intended to keep your little (and not so little) ones amused for hours - whether at home, in the garden, on the beach or even on the move!! 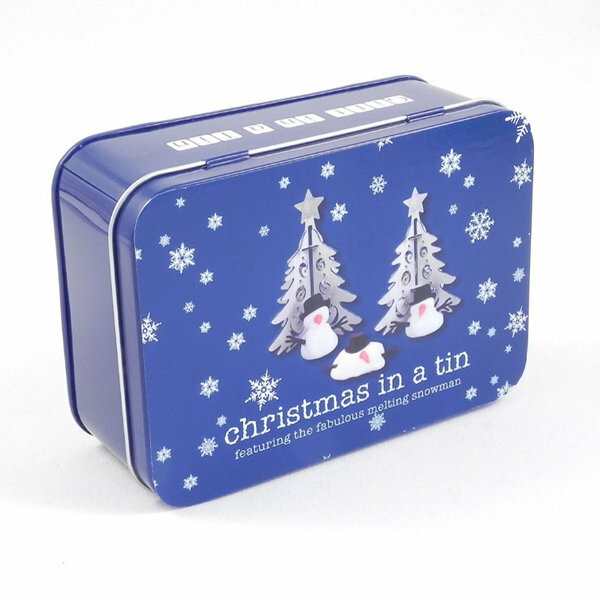 These neat tins are great all year round gifts and are so easy to package up and post - or throw in the holiday bag. 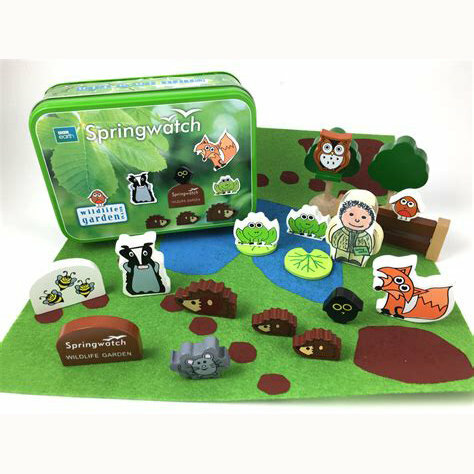 Budding twitchers will love spending time in the great outdoors studying birds using the gear provided in this mini bird watching set. A super gift idea for youngsters with an interest in nature and those who like spending time outside. 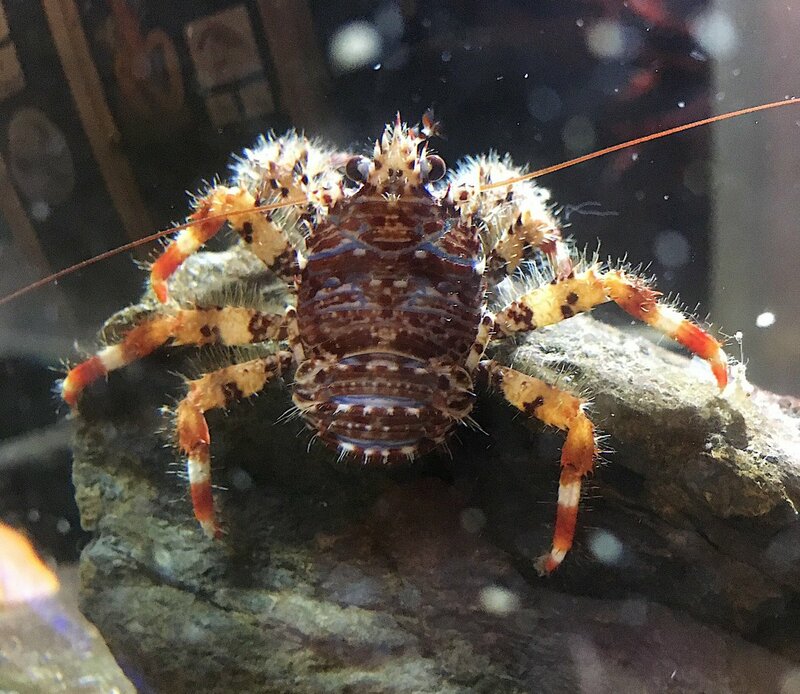 Why not buy this before you visit us in Padstow and then your kids can explore the fabulous wildlife along the Camel Trail!?! Binoculars, spotter, magic eye, bird ID sheet, pad and pencil plus stickers. Using the kit and step by step instructions provided, young scientists can construct a handy microscope for examining specimens on the blank and prepared slides included in the product. Encouraging kids' curiosity, this microscope allows the tiniest of things to be seen close up and best of all it can be re-packed into its tin for easy transportation during field trips. 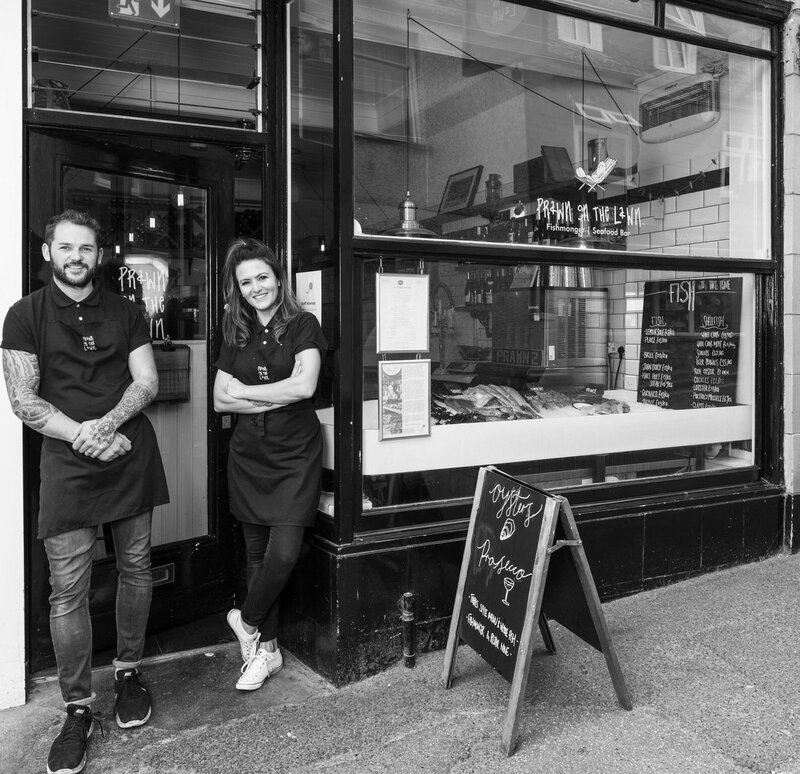 Be your own "King (or Queen!) of the Castle" with this wooden model kit, which comes complete with towers, flags, movable drawbridge, knights, horses, instructions and play mat. Wooden model kit for castle, 3 knights and 2 horses, play mat, stickers, sand paper and instructions. Chess remains a popular board game worldwide. This superb miniature set has wooden playing pieces and a game board that all stores away in this handy tin. Ideal for playing at home or when travelling. Wooden chess pieces, wooden game board and instructions. OK, perhaps not something you want to think about when the sun is shining but there's nothing like planning ahead!! 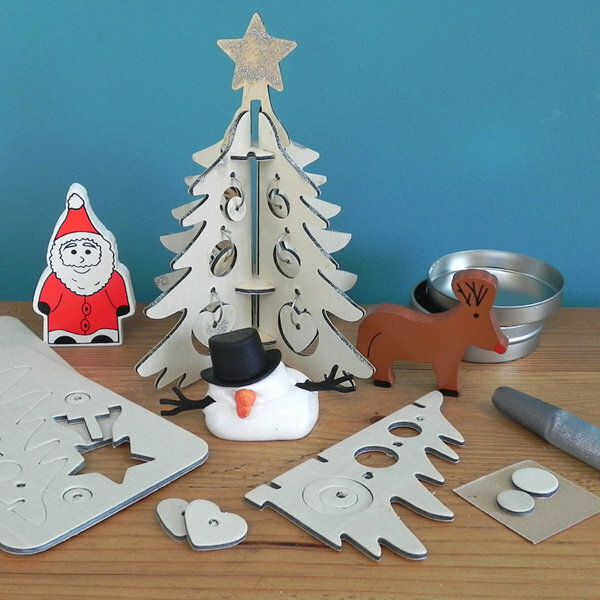 A perfect stocking filler or Secret Santa present.Fantastic festive fun: make a melting snowman from the reusable putty, add a decorative wooden Christmas tree then complete the display with the Father Christmas and reindeer ornaments. Melting snowman putty, wooden Christmas tree kit, 2 ornaments, wire, glitter glue and instructions. Adults only - this is not a toy. The Fabulous Musical Carousel is just that...fabulous! It moves, it plays music, what more could you want? 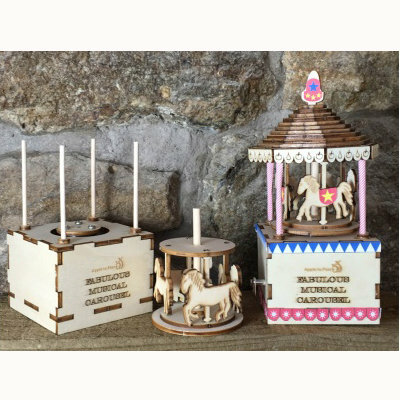 Following the instructions, build this working wooden model of a fairground musical carousel then wind it up and enjoy the tune as the horses go round and round! Wooden model parts, glue, clockwork musical motor, screwdriver, stickers and instructions. Recommended ages: 8 years to adult. Escape to the country!! Sure to become a classic, this chunky wooden Farm in a Tin gives little ones a taste of the good life and a smallholding all of their own. Hours of creative, educational play as they turn the horses out to graze, send the mother duck and her chicks onto the pond and pen the livestock. Assorted wooden farm animals and building, plus play mat. Recommended ages: 4 years to adult. 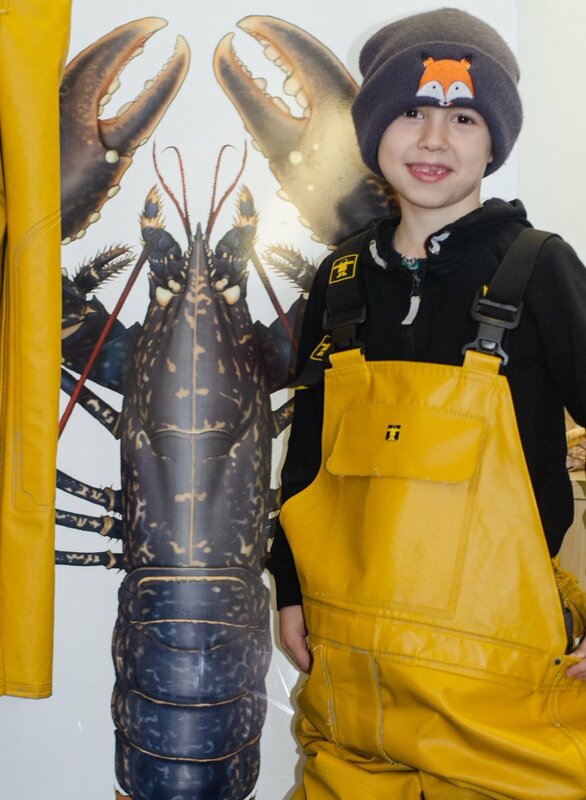 Let their imaginations run riot as they create their own fishing port - maybe they will model it on our home town of Padstow? 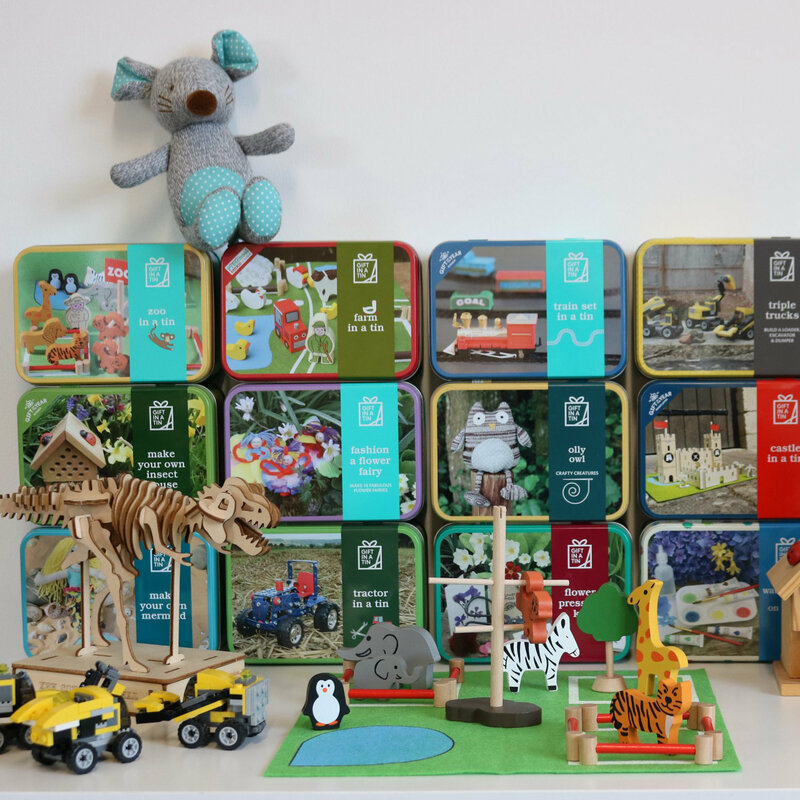 A bucket load of fun to be had with beautifully crafted wooden play pieces whether you are home or away! Assorted colourful wooden play pieces, card fish, printed felt mat, play sheet and instructions. 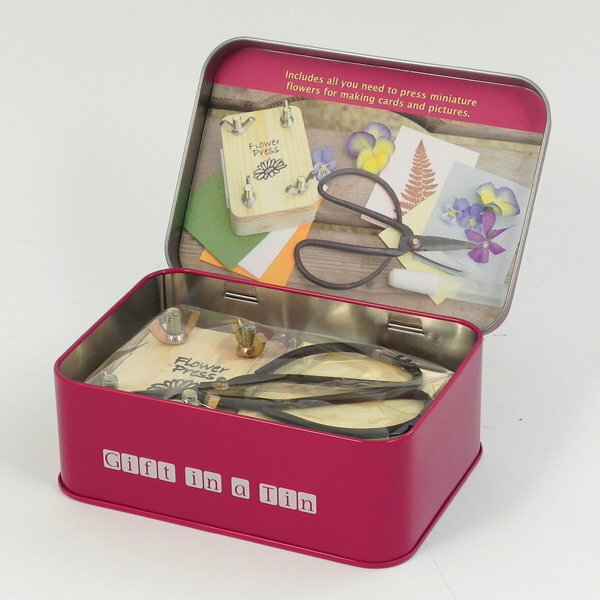 We just couldn't resist this fabulous craft kit!! 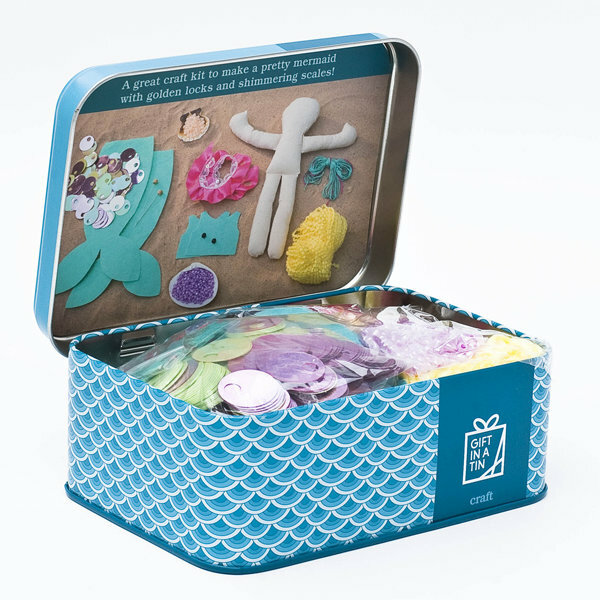 Everything you need to make your own pretty mermaid with golden locks and shimmering scales! 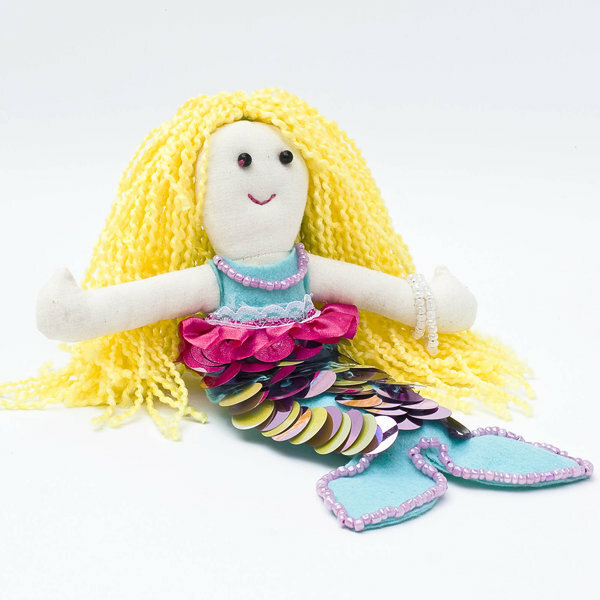 Transform the soft bodied doll into a dazzling mermaid with flowing hair and a sequinned tail using the craft materials and instructions provided. 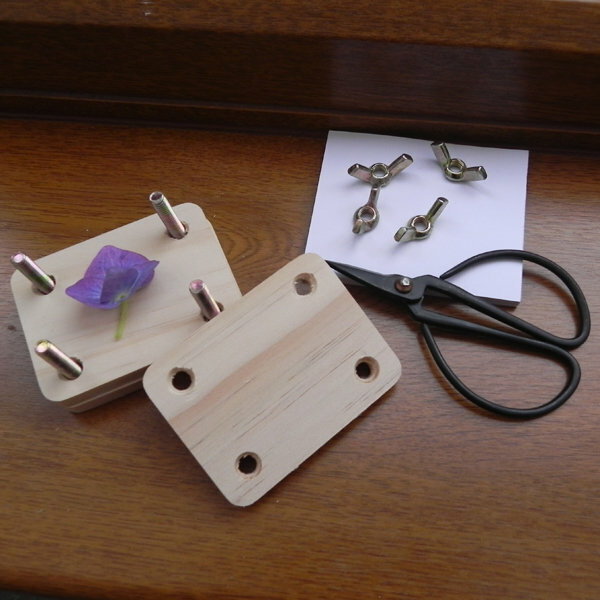 Press your own flowers to make cards and pictures using this miniature flower press, which comes complete with flower cutters. Miniature flower press, flower cutters, cards, glue and pressing paper. Adults only, this is not a toy. A super construction kit to build a tow-truck complete with working hitch and movable cab. 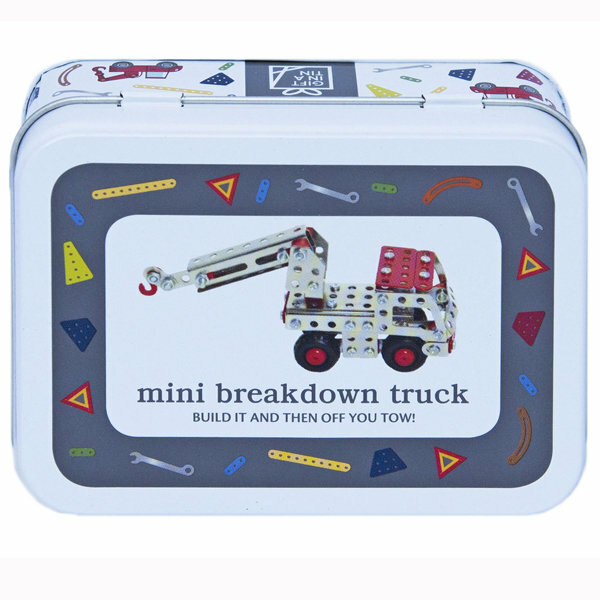 This tin include metal construction parts and bolts, wheels, spanner, screwdriver and instructions. Great for young engineers! Use the tools to bolt together the metal components to create three fabulous models - or let your imagination run wild to create your own daring designs! Ah-ha me Hearties! Plunder the seas and hunt for treasure with this fabulous craft kit. Packed to the gunwhales with everything you need to build and paint a fantastic wooden pirate ship - complete with a Pirate's Eye-Patch, Treasure Map and Pirate Stickers. 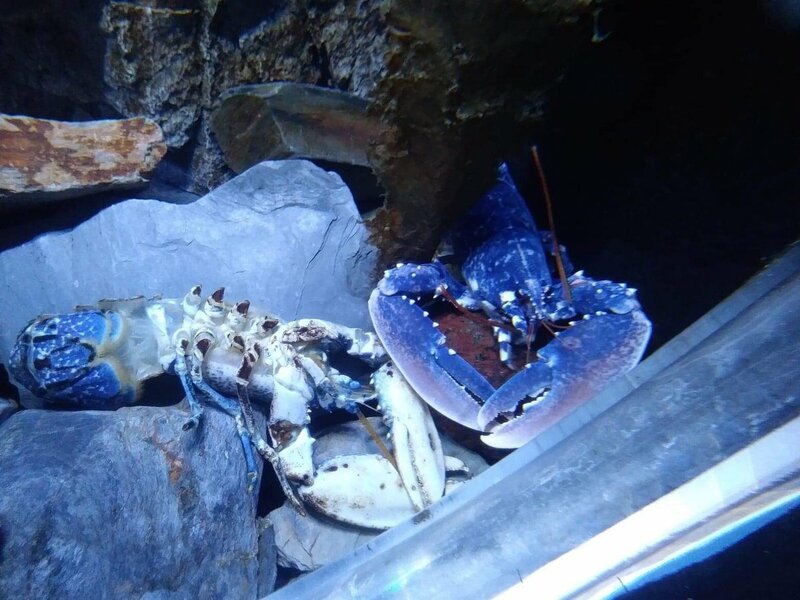 Sure to be a hit with young scallywags! Wooden pirate ship kit, acrylic paints and brush, glue, eye-patch, treasure map, pirate stickers and instructions. Create a hide from the camouflage net then use the binoculars to watch birds in your garden. Using the stickers provided, see how many different species you can identify on your spotter sheet. 6x30 magnification binoculars, camouflage/hide net, spotter sheet, stickers, sketch pad, pencil and instructions. Recommended ages: 6 years to adult. Just add scones and cream for a perfect Cornish Cream Tea!! 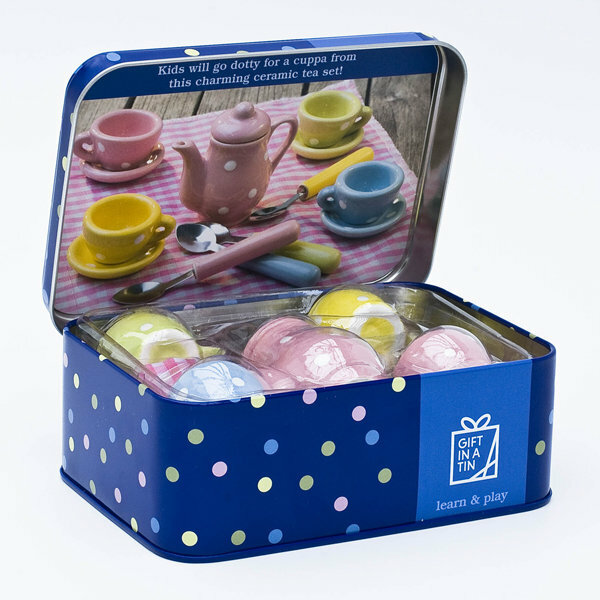 Kids just won't be able to resist this delightful spotty tin, which is packed to the brim with a charming polka dot ceramic tea party set. Dinky ceramic teapot, 4 cups, saucers, spoons and mini picnic blanket. 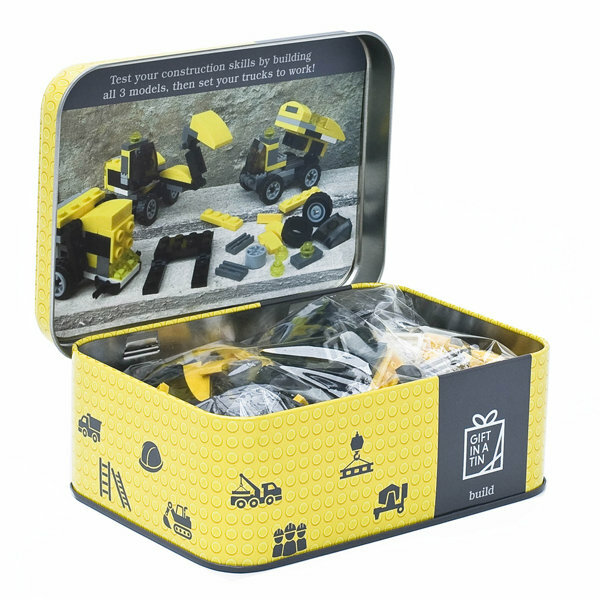 Complete with plastic building blocks, children can use the instructions to build three models, a loader, dumper and excavator. 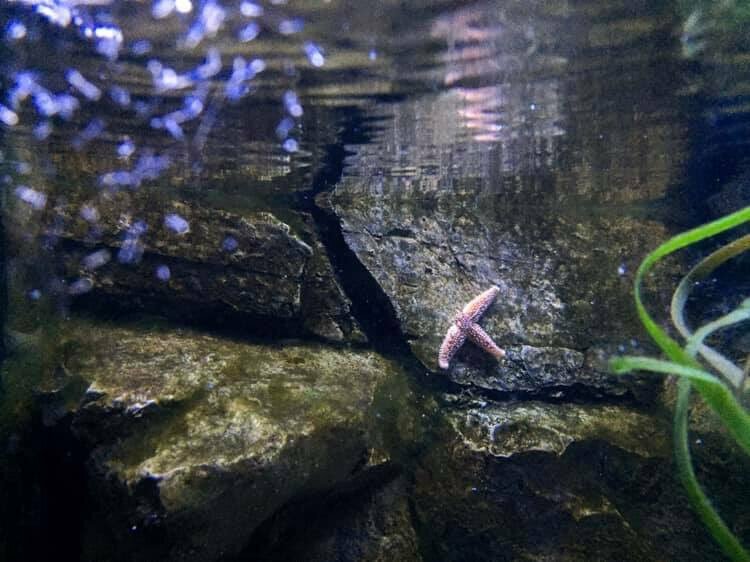 The fun doesn't end there, with a little imagination they can create so much more! Much like the Farm Tim, this is a classic!! 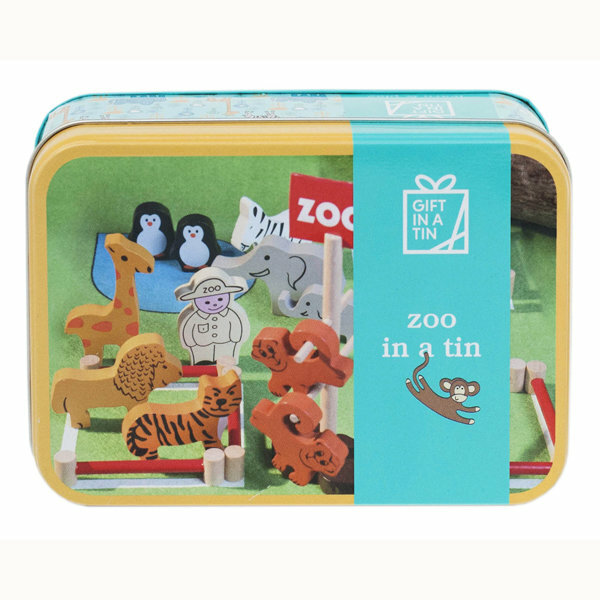 Complete with animals, keeper and enclosures this colourful tin will ensure hours of fun!. 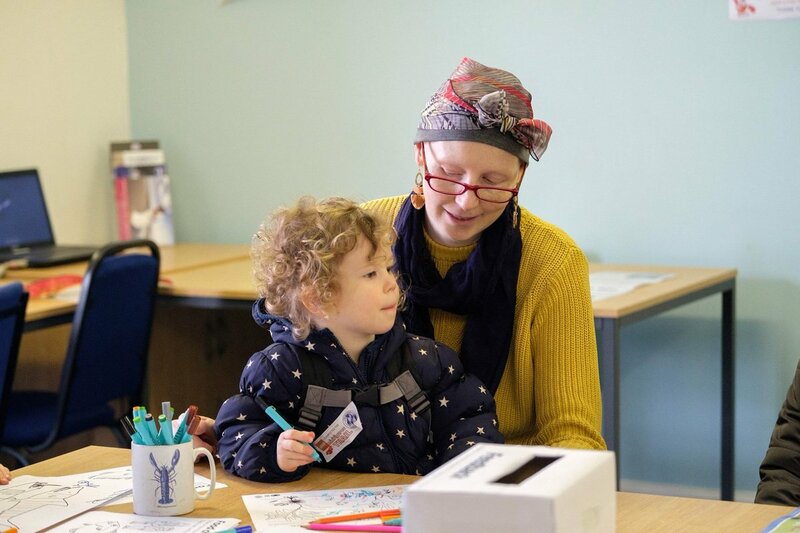 The chunky pieces can be packed carefully back into the tin making it a great choice for kids on the move and they can also be drawn around for colouring in fun. 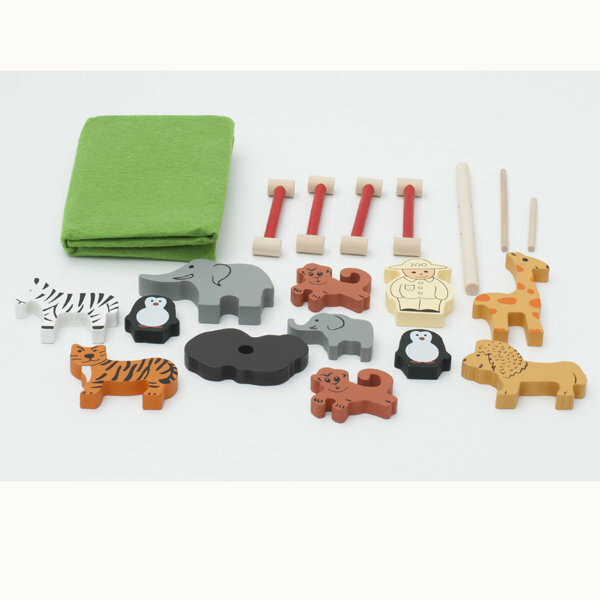 Assorted wooden zoo animals, keeper, sign, tree, fencing and play mat.